The Empowerment Agency provides Technical Assistance and Capacity Building (TA & CB) to institutions nationally and internationally. Packages developed under the TA & CB practice area are designed with the client in mind. The Empowerment Agency also provides specialized services for faith-based communities looking to improve their ability to meet the social and contextual needs of the congregation. Workplace Wellness, Suicide Prevention, Crisis intervention Services, Program Management, Gender Based Violence, Gender Responsiveness Programming, Women and Girls, Cross-Sector Collaborations, and more. **For more information on TA & CB packages contact us to build your own program to meet the needs of your organization. The QPR workshop is a customizable workshop offered to groups or institutions ranging from 1.5 hours and up. A certificate of completion is given to all attendees at the end of the workshop. Developed by the Suicide Prevention Resource Center in collaboration with EDC. This workshop is geared towards clinicians and other health-care professionals who are seeking clinical knowledge of assessing and managing the risks of suicide. 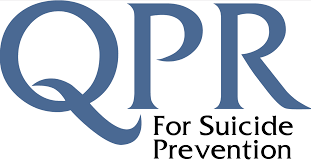 A suicide risk formulation plan is included in the workshop for professionals to gather, synthesize, and relay information to other professional and/or mental health facilities. The AMSR workshop is a full day workshop that provides each attendee with 6.5 CEU credits. A one hour lunch is included in the workshop. Enjoy our quarterly newsletter to stay up-to-date on new announcements and projects hosted by The Empowerment Agency.